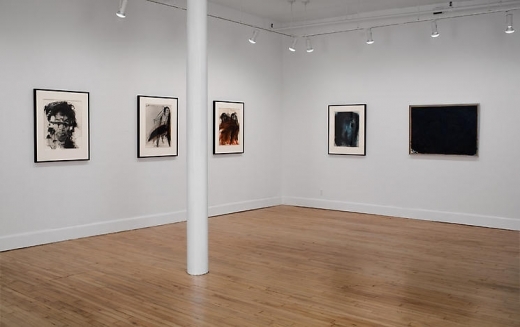 David Nolan Gallery is pleased to announce the opening of a thirty-year retrospective of paintings, photographs and drawings by Austrian artist Arnulf Rainer. Rainer was born on December 8, 1929 in Baden, Austria just 15 miles south of Vienna, into a culture under the spell of Weltuntergangsstimmung, an often- cited "end-of-the-world mood" of the crumbling Habsburg monarchy. To break the psychological epidemic, Viennese artists sought to better understand the human psyche in order to find a reason and perhaps even a diagnosis for their cultural paralysis. While the Austrian art scene, lead by the Surrealists looked inwardly, the majority of the European art scene, taking cues from the great Paris schools, looked outwardly, engrossed in the new perspectives offered by Cubism. Rainer enrolled at the top Vienna art academies and quickly found that traditional training left him uninspired. After less than a week, he dropped out of each school so that he could pursue his own artist course. The following year later he founded and pioneered the young Hundsgruppe (Dog's Group) with Ernst Fuchs, Arik Brauer and Josef Mikl. Rainer's confrontation with the art world status quo escalated upon his meeting the venerable Andre Breton in 1951. After surveying a room full of his drawings, Breton decided Rainer boring, thus propelling the unnerved artist into a fury. 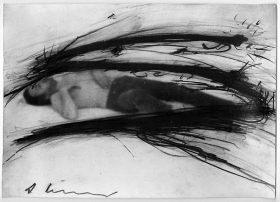 In the years that followed, Rainer attacked the concerns of Surrealism, by creating a body of work that technically and thematically investigated essential human emotion by experimenting with his own physicality and animalistic nature. 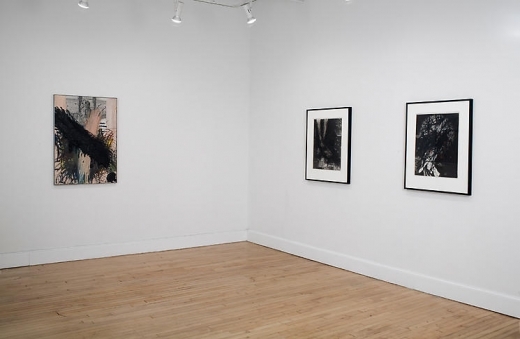 Inspired by the action painting of Pollock, Riopelle and Wols, he began to paint blindfolded, integrating wild gestures in black and red, sometimes over one of his finished photographs or paintings, sometimes over the work of one of his contemporaries. He painted without preconceived thought, forcing his hand to move faster than his mind. While these early achievements, Blindmalerie and Ecriture Automatiques of the early 50s distinguished him as one of the defining artists of his generation, he is best known for the Umbermalungen (Overpaintings) that he created from 1953-64, as well as his more violent experimentations with Face- Farce and Handmalerie during the 1960s and 70s. Rainer believed that in order to understand the innate human condition, he had to access it, and his body must be the vehicle. He practiced extreme self-exile in order to gain the cultural estrangement he needed to become a tabula rasa of his species. From there, he recorded his actions, no longer assimilated or contrived. He photographed his body and face, which he contorted into panoply of absurd guises; bringing to life Franz Messerschmidt's characters busts. Like Dubuffet he studied his gestures and language in comparison to that of the mentally disturbed. Like Beuys, he imaged an essential relationship between himself animals, more real than any he had with people. In the late 1960s he experimented with hallucinatory drugs in an attempt to transcend his learned bodily limitations. 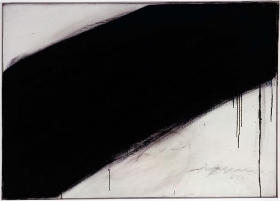 Sweeping and smacking his hands, fingers, and entire limbs across the canvas, his violent Overpaintings from the 70s are threaded with hints of the Vienna Actionist movement. 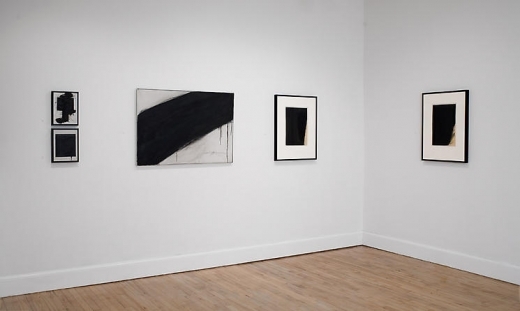 He explained his resulting marks as impressions of traumatic gestures for which his conscious subconsciously longed. 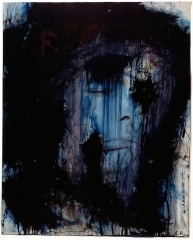 By the 1980s, Rainer, exhausted and weathered, had edited himself so far outside of culture that he had decided himself the fool, writing hopelessly "Here am I, sitting now in my studio, a physical wreck, faced with a mass of trivial, spoiled, bungled, scrawled to death pictures, not knowing how to ever finish them…how should I get rid of this load of corpses of paintings?" His Totenmasken (Deathmask) paintings and a series of dark, religious-themed works come out of these later years. Ironically, Rainer's final outsider's stance is begot of his own artistic summation. He finds himself alone again, in his opinion of his life's work as a "wreck" of "scrawled to death pictures." 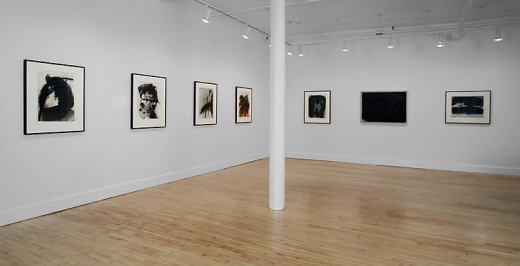 Arnulf Rainer has been honored by solo exhibitions and retrospectives worldwide since his first show at Galerie nachst St. Stephan in 1956. 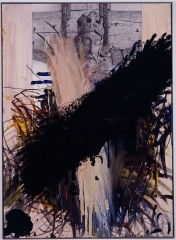 In 1968 he was honored with his first retrospective at Museum moderner Kunst in Vienna, and in 1971 his first in Germany at Kunstverein Hamburg. 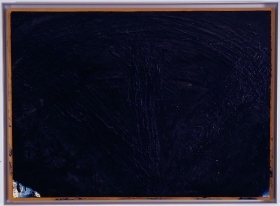 In 1978 and 1980, Rainer was chosen to represent Austria at the Biennale in Venice and his works were included in at Documenta 7 of the latter year. In 1981 he received the Max-Beckmann-Award of the city of Frankfurt. Mort et Sacrifice, a pivotal retrospective at the Centre Pompidou in Paris won him international attention in 1984. 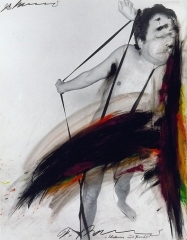 A retrospective at the Guggenheim Museum in New York in 1989 solidified his artistic importance, and the opening of the Arnulf Rainer Museum in New York in 1993 cemented the achievements of his career. 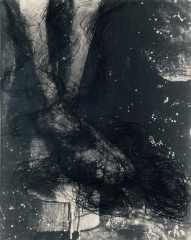 Most recently he has been exhibited in individual exhibitions at the Städtische Kunstsammlungen in Augsburg, Germany and at the Rupertinum in Salzburg. In 2000 a traveling museum exhibition began at the Stedelijk Museum, Amsterdam to celebrate the artist's 70th birthday. At the present Munich's Neue Pinakothek der Moderne is planning a retrospective for 2008, which will travel through Europe and possibly the United States.